(Photo courtesy FOX 13) Sean Moss, 34, is facing charges in what may be the first medical cannabis prosecution in the state. Moss has epilepsy and says he is a qualifying medical cannabis patient — a defense he plans to use on Monday in Salt Lake City Justice Court. A medical marijuana patient said he had a seizure while driving and crashed into a fence. That led to charges of drug possession and other offenses after police found a THC product in his car, but he won’t be going to trial. Instead, FOX 13 reported, Vincent Sean Moss, 34, pleaded guilty Monday to a class B misdemeanor count of possession of a controlled substance and a traffic infraction and will only be paying a $340 fine. He will also be on probation for six months. According to court records, as part of the deal, class B misdemeanor counts of use of possession of a controlled substance and driving with a measurable amount of controlled substance were dismissed. 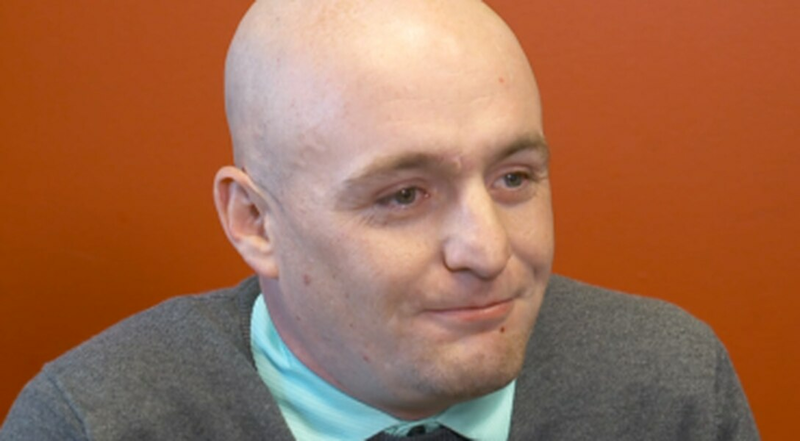 The case was the first time a medical marijuana patient was prosecuted in Utah after voters approved a medical cannabis ballot initiative in November. Moss, who has epilepsy, had CDB oil he purchased in Oregon in his car at the time of the 2017 crash, his attorney Tyler Ayres said. While “Charlee’s Law,” passed in 2014, allows for epilepsy patients in Utah to have non-intoxicating CBD oil, Oregon’s CBD oil products contain small amounts of THC. That amount of THC, while still non-intoxicating, was not legal in Utah at the time of the crash. "I hope people understand I was not out there trying to drive intoxicated. I had a medical incident and happened to have medicine in the trunk of my car,” Moss told FOX 13. Ayres told The Salt Lake Tribune that he and his client are “ecstatic” about the outcome, adding that Moss is effectively only being fined for the traffic infraction and won’t be jailed for the THC. FOX 13 reported that if Moss doesn’t break any laws while on probation, the case will be expunged. While the case won’t set a legal precedent in other courts, Ayres said he hopes other prosecutors will recognize the example of Salt Lake City and county prosecutors and follow suit. “Ultimately, it’s refreshing to see that the new laws are making a difference, and the administrations are recognizing the change in social attitudes. I’m glad that marijuana is finally starting to be recognized for its medical values,” Ayres said.